Word welding just got more riveting! 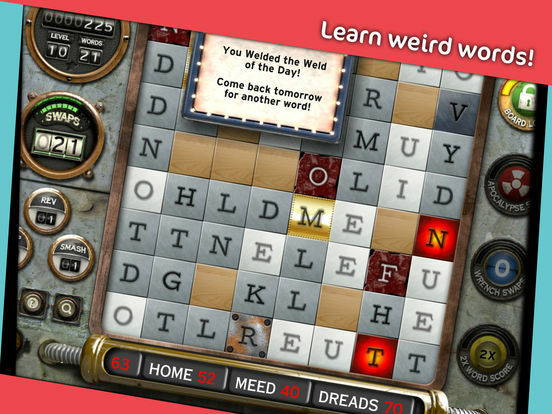 Swap letters and unlock new abilities to crack these word puzzles and become the world’s greatest word welder! Reverse swap. Wrench swap. Smash swap. Apocalypse swap. Serendipitous moves can create a satisfying cascade of words! 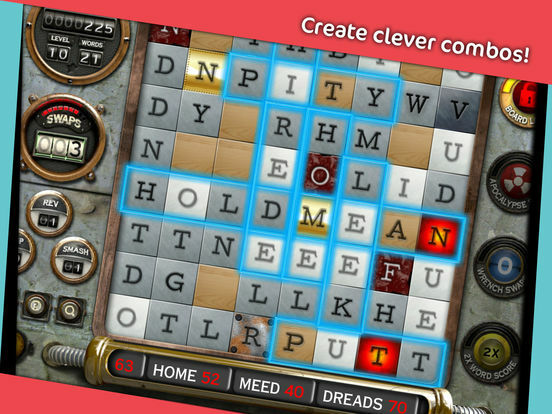 Expand your vocabulary using the built-in dictionary—uncover definitions of words you never even knew existed! 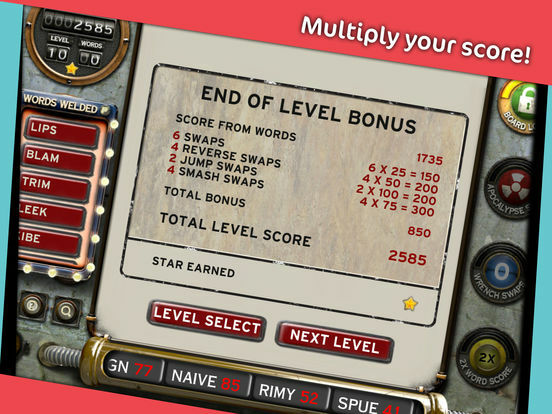 Create clever combos and use special abilities to multiply your score. W.E.L.D.E.R. 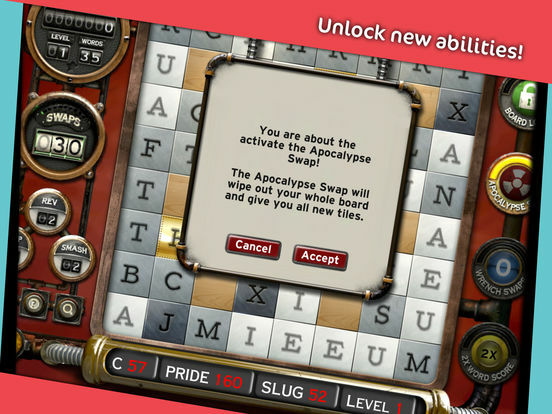 | SWAP is the latest FREE-to-try twist on the hit word puzzle game, W.E.L.D.E.R. (#1 iPad seller and Apple's iPhone Game of the Week)!